In 2014, the Gallus Group was integrated into Heidelberger Druckmaschinen. Integration of Gallus and Heidelberg is making good progress in India and both entities are headed in the right direction, according to Ferdinand Rüesch, vice president of the board and key account manager of Gallus and Heidelberg’s anchor investor. Rüesch, who is a frequent traveller to India, made this clear to Packaging South Asia in Mumbai during his latest India trip in the second half of April. 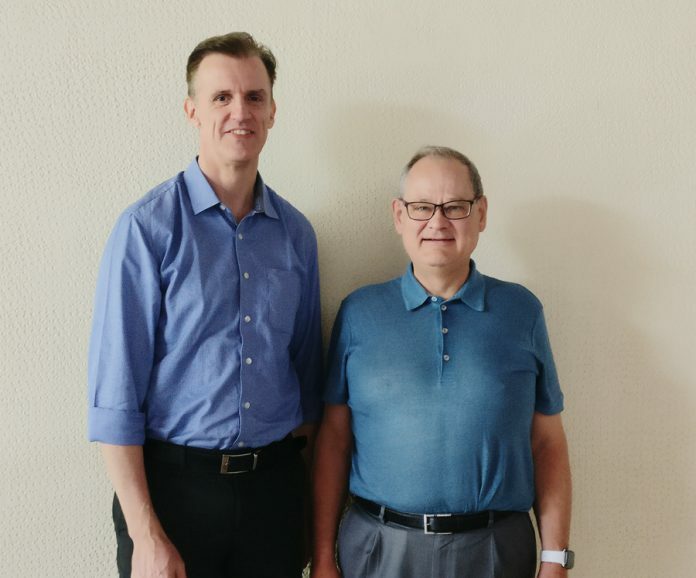 On the 5-city tour of the country, he was accompanied by Samir Patkar, regional sales head, Asia for Gallus and Heidelberg India’s managing director Klaus Nielsen. “The process of integration is an ongoing one and we still have to adopt certain systems in India to have a better overall utilization. I want to tell our customers that we are the same Gallus family with more members. We are one organization now and we will always want to be market leaders and will want to improve,” said Rüesch, adding that Heidelberg and Gallus will provide customers with a complete print shop solution including reliable equipment, parts, service and consumables support. Ruesch, Patkar and Nielsen were in the midst of their 5-city tour when they stopped at Mumbai before proceeding to Goa and Ahmedabad. Before making a stop at Mumbai, they visited Gallus and Heidelberg customers in Chennai and Bengaluru, meeting a total of 20 customers of both companies. The Labelexpo 2017 was a significant event for Gallus where it unveiled the Labelmaster press. This new solution from Gallus has been very well received in India and according to Rüesch, the company signed several deals for the Labelmaster from Indian customers. “Labelexpo 2017 was a very successful one for Gallus and we saw a very good number of Indian visitors at the show. The Labelmaster was well received as a new technology and as a very efficient production machine. A few machines are in the process of being shipped to India,” Rüesch said. 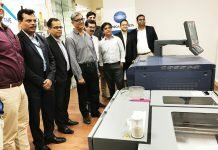 Bengaluru-based Signode India signed up for the first Labelmaster press and the installation process is already underway. Ruesch said that Gallus has not only been able to cater to its existing customers who go in for repeat orders but acquired new customers as well in 2017. “We saw a lot of customers from the sheetfed side move into labels in India and we were successful in acquiring customers from this segment for our label presses as well,” he shared. After the Labelexpo 2017, the next event that Gallus is preparing for is the Gallus Innovation Days 2018, which will be held at its headquarters at St Gallen from 26 to 28 June. Two years ago, more than 800 visitors came from all over the world to attend and this time the exhibition area is much larger. This year, Gallus will celebrate the new Gallus Smartfire digital label printing system. 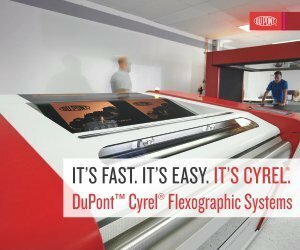 Other technologies to be shown at Gallus Innovation Days 2018 are the Gallus Labelfire with a fully integrated screen printing unit; Gallus Labelmaster Advanced with automatic transverse and longitudinal register control; the Gallus RCS 430 with flying imprint and fast UV ink drying thanks to a UV booster; and the Gallus ECS 340 that has become a popular work-horse among leading Indian label converters. Gallus’ screen printing department will also be showing various technologies at the event. “We hope to see an overall higher number of visitors this time, and this goes for India as well. I hope to see all types of customers from India – big, medium and small,” commented Patkar. 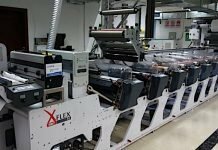 In addition to the launch of Labelmaster, at Labelexpo 2017 Gallus showcased the Labelfire digital label printing press with added inline finishing processes. Patkar believes the Indian market is now ready for digital technology in label printing. “In last two years, positioning of digital technology has changed a lot in India. We believe we have a good number of potential customers for our digital label press in India as well. 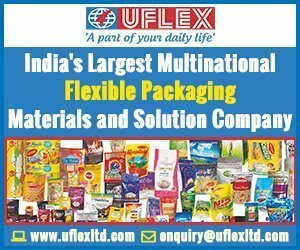 The profile of label solutions buyers in India is becoming like that of in Europe; smaller SKUs, quick delivery time and short runs,” he said. As an avid India watcher and frequent visitor, Rüesch closely observed the impact of demonetization and GST on the Indian print industry. Despite a tumultuous 2017-2018 financial year, according to Nielsen, Heidelberg had a very satisfactory year in both commercial printing and packaging segments. “The first half of financial year 2017-2018 was a bit subdued as demonetization and GST played on the minds of the customers. However, things were normal by mid-September. In fact, due to favorable duty structure post GST, we saw the highest number of imports of Heidelberg SX 74 presses in the last five years,” said Nielsen. In the packaging segment as well, Heidelberg had many notable successes last year. For instance, Mumbai-based Temple Packaging installed India’s first Heidelberg 7-color XL 106 press with Multicolour and many other features. 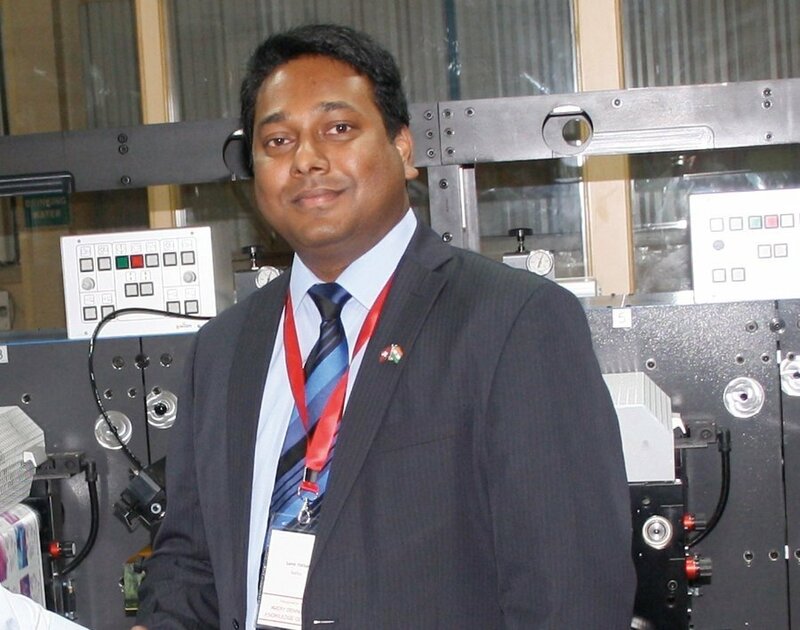 “This is our flagship packaging machine and I am very excited to see this press in India. It goes to show that the trend we are seeing in the world is being seen in India as well,” Nielsen said. He further added that more XL 106 presses are coming to India in the next two to three months. 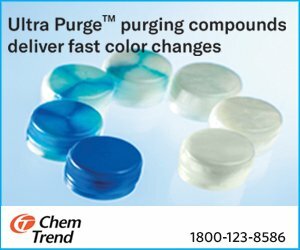 “This shows that packaging printers in India are now at global standards,” he said. Nielsen informed Packaging South Asia that during Rüesch’s India trip, Heidelberg managed to sign its first Indian customer for its subscription model for acquiring a new press. Under the new subscription model, customers are ensured a performance product comprising press, services, consumables, and software over a period of several years. “The idea is to have a closer cooperation with our customers. Instead of being just an input provider, we are now looking to be somebody working very closely with customers to generate output as well. Through this subscription model we will help customers overcome a lot of production inefficiencies,” Nielsen said.